I like the orange coral Dahlia and the Kelly Green Dahlia ones. My favorites are the dusty lavender mum and the vintage green glass cabochons! 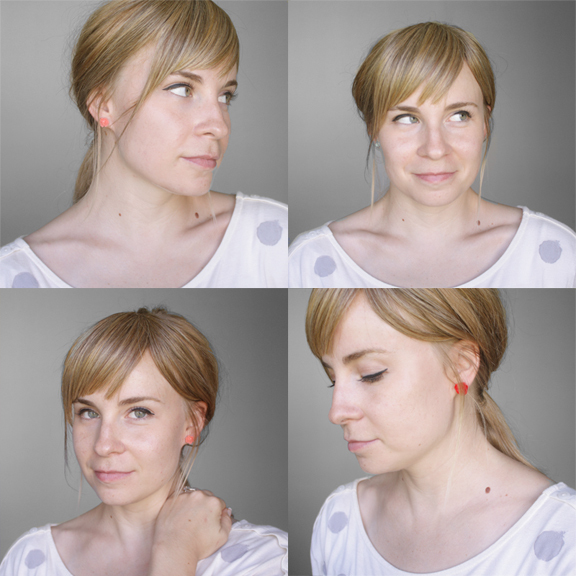 my favorite is the turquoise and the orange coral dahlia earrings! thanks for the giveaway, madeline! Cream Rose Ceramic Post Earrings -- 8mm and Eggplant Purple Dahlia Post Earrings -- 10mm are my favorite! I love the antique blue mums and the midnight blue dahlia pairs! I love the eggplant dahlia posts and the gray rose posts! i like the purple dahlia and the blue mum flower ones. I am allergic to nickel and it's so hard for me to find earrings I can wear. These are the prettiest! I like the vintage cream rose and sunny mustard mums! I like the sunny mustard mum flower and the coral flower post earring. These are so cute! Thanks! So in love with this site...shouldn't have showed it to us! I love those gray rose post (in the pic above) I'm also super in love with the Vintage deep turquoise glass cabochon earrings. must have! I love the Antique blue mum and the sunny mustard mum. They are so elegant! I also love this blog! I like the mustard mums and the midnight blue dahlias. Lovely shop! I love the moss green dahlia earrings! So cute! The turquoise and midnight blue dahlia posts are my absolute faves! Thank you for the giveaway! I LOVE those white faceted ones and the rust red glass cabochon ones. Hard decision! I like the moss green dahlia and the vintage black glass cabochon. Meg14_(at)hotmail(dot)com. The pink dahlias are my faves. Love the coral and lavender! Thanks for the giveaway! i love the mint green rose post earrings & the eggplant dahlia earrings. so cute. thanks for the giveaway! White Rose Ceramic Post Earrings -- 9mm- They would be perfect for my new sis-in-law! I love the orange and coral dahlia and the cream rose earrings! I love the gray rose post earrings and the sunny mustard mum flower earrings! Both would work wonderfully as earrings for my wedding! I like the Vintage green glass cabochon Post Earrings--15mm and the Cream Dahlia Post Earrings -- 10mm. Thanks for the giveaway! I love the moss green dahlias and the antique blue mums. So pretty. I love the Turquoise Dahlia Post Earrings and Antique blue Mum Flower Post Earrings. All are so pretty! Ooh, super fun! Love the Vintage white faceted glass and the pale pink rose ceramic ones! I love the vintage rust red & Moss green Dahlia. Love your blog too!!! How beautiful! I love the gray rose posts and the vintage rust red glass posts!! Hard choice. I love the lavender, dusty pink and mustard mum posts! the antique blue mum earrings are my favorite!